In India, Cricket is not just a game Played by 11 Cricketers. Cricket is Religion in India and Every win is Great Indian Festival. You can see the Kids playing the Cricket Game in every street of the Indian Road. The Cricket Game is Played in more than dozen countries. Few Months back, Even in the America the International Cricket Council organized the Promotional T20 Cricket International. If you are Cricket Game Lover and want to Play this game in indoor, Play it via Android Smartphone. In Google Play Store, You can get the Many Android Cricket games to download. But, There are only few best Cricket Games are available to Play in Android Mobile. That’s Why, We are at Spicytricks, hand-picked the Best 3D Cricket Games for Android Mobile Phones to Play T20 Cricket, One Day International, Tournaments and Test Cricket matches. We’ve posted the Top 6 Best Cricket Games for Android Phones ever in our Previous Post. In this post, We’ve picked the top 5 Cricket Games with 3D Graphics design. If your Android Phone has the top Graphics Chip with best CPU, then you can play the these top Full HD 3D Cricket Games. Here’s the List of top 3D Cricket Games for Android users. MS Dhoni: The Untold story Cricket game has been developed based on the Bollywood Movie “MS Dhoni: The Untold story”. Now, You can play this Movie as a Casual Cricket Game in your Android mobile. This Free Cricket game based on the MS Dhoni has been downloaded by more than 1 Million users till now. This Cricket Gaming App comes with Semi- realistic art style & Full HD 3D graphics with realistic animations. So, You can feel the Real World Cricket Gaming experience. You can Play the Most Memorable Cricket game in Dhoni’s career with this game. This game offers Helicopter Shot, Reverse Sweep, Square Cut, Paddle Shot and many more! Get ready to play the most Advanced 3D mobile Cricket Game in Android Mobile. World Cricket Championship 2 offers the most innovative features that is not available in the most of the other Cricket games. Even You can challenge your friends to play against you in this WCC2. It is the most exciting, most Dynamic Cricket game for Android Phone. The game features the much awaited Autoplay mode for bowling and batting! Also, You can enjoy the game with Cinematic cameras, real-time lighting, Slow Motion Replays and Professional Cricket Commentary. To create realistic cricketing experience, the developers used more than 100+ motion captured animations. Now, You can start your Cricketing career with this Awesome Free 3D Cricket Game Cricket Career 2016. Just Play this Jaw-Dropping complete 3d Cricket game and Become the Legend in the Virtual Cricket gaming History. Cricket Career 2016 is a real-time 3d simulation Cricket Game with the most authentic 3d motion captured strokes from the Real Cricket Players like Murali Vijay. This game offers the world cups, T20 leagues and domestic competitions. This games gives your Real 3D Cricket Gaming Experience. So, You need a best Android Phone with 2GB RAM, Better Graphics to run the game smoothly. Play the Cricket T2o With full 3D Graphics with Real Animations. Best ever Ball Physics used in this game to recreate the Real world Bowling. Now, You can play in the Most Astonishing Cricket Grounds including Lords and Eden Gardens. Cricket T20 offers variety of Cricket Modes such as Quick Match, ODI,Twenty 20 and Tournaments. Game offers the Motion captured animation to get the real cricketing experience. 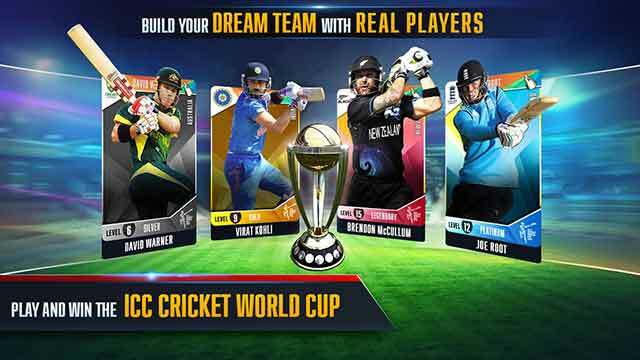 Download the ICC Pro Cricket 2015 to Play the Official Game of the ICC Cricket World Cup 2015. 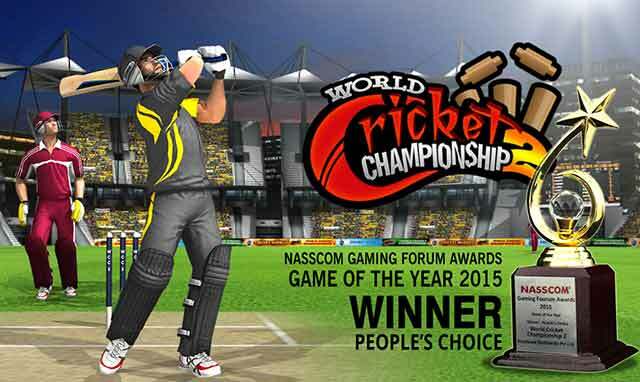 It is the first ever cricket game with real simulation and card management. Since the Game is Official, You can play with Official Cricket Teams with Original Players. So, this Game allows you to play with Real Cricket Players including the Cricketing Legends. ICC Cricket 2015 is the real Cricket 3d simulation game with stunning visual design with Real world Players.